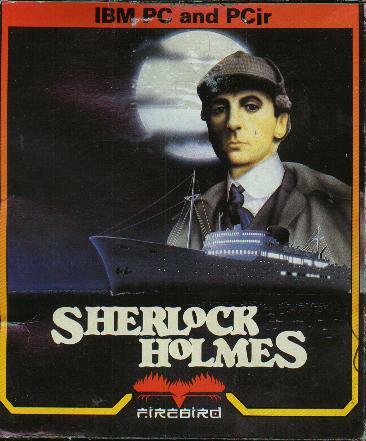 Ye Olde Infocomme Shoppe - Vault - Sherlock Holmes in "Another Bow"
The first game in Bantam Imagic's "Living Literature" series The game is set on a ship (the map in the package shows its layout) and has Holmes and Watson interacting with famous historical figures from the time period. It sticks considerably closer to Arthur Conan Doyle's style than Infocom's take. The budget re-release by Firebird comes in a very small box, just big enough to hold the disk, instructions, and map Xerox. Quite flimsy, very easily crushed.